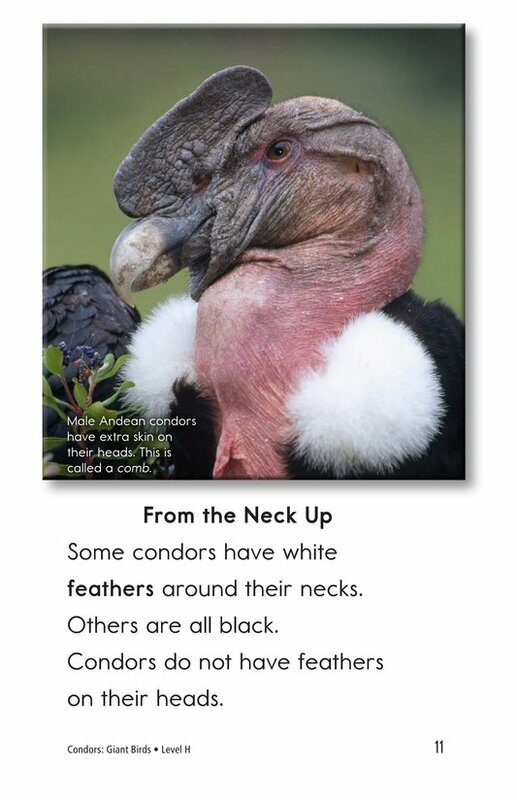 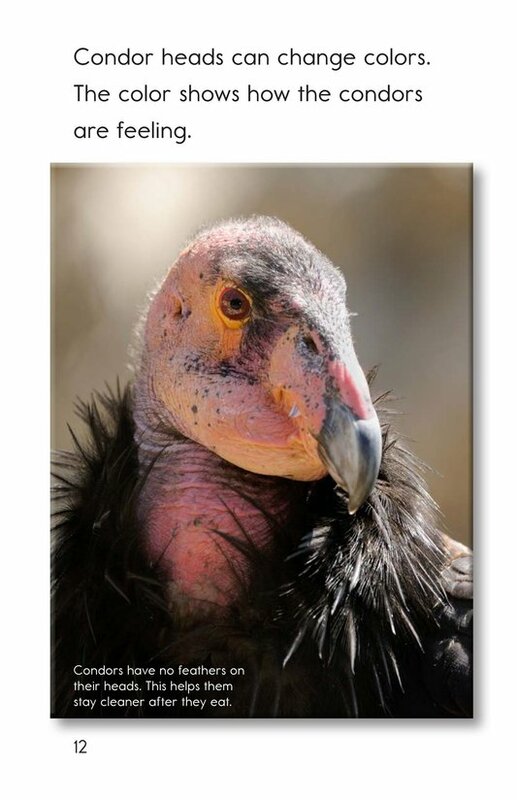 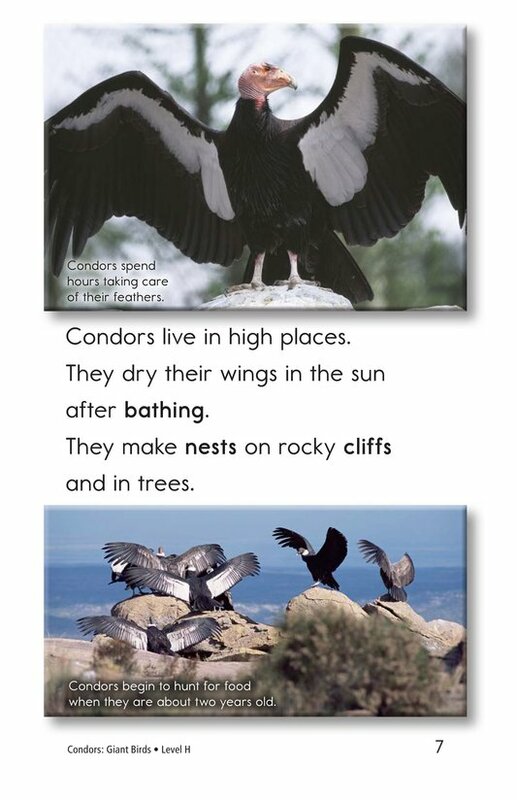 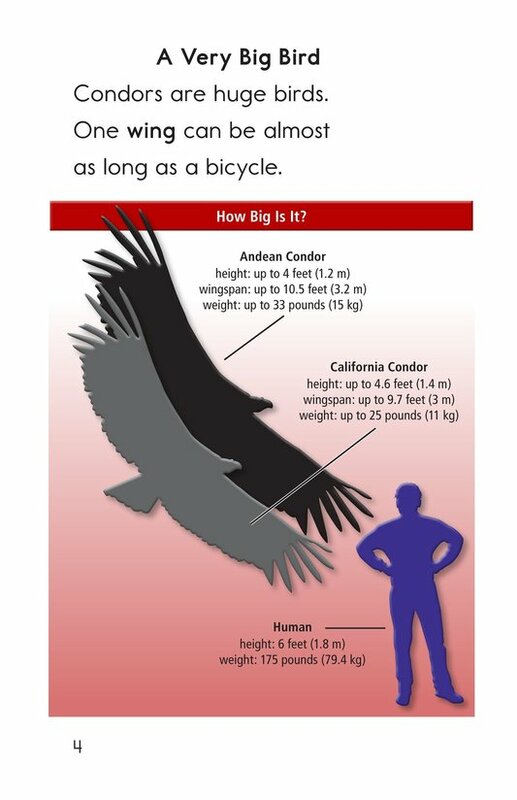 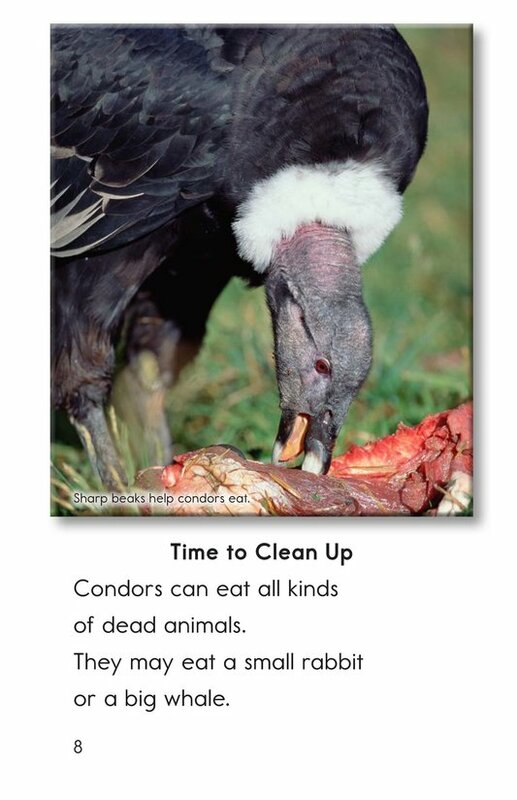 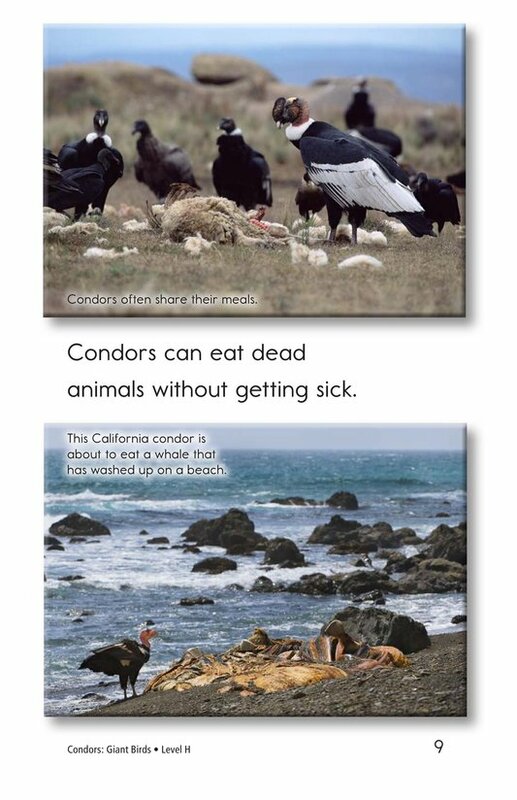 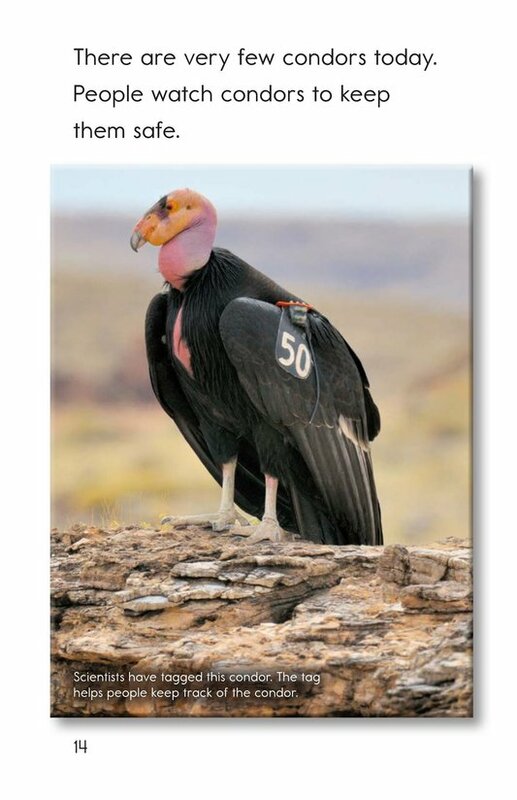 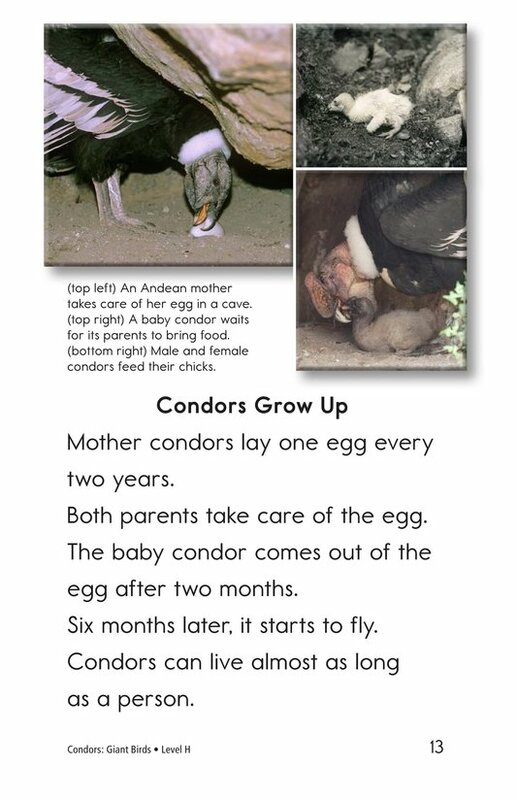 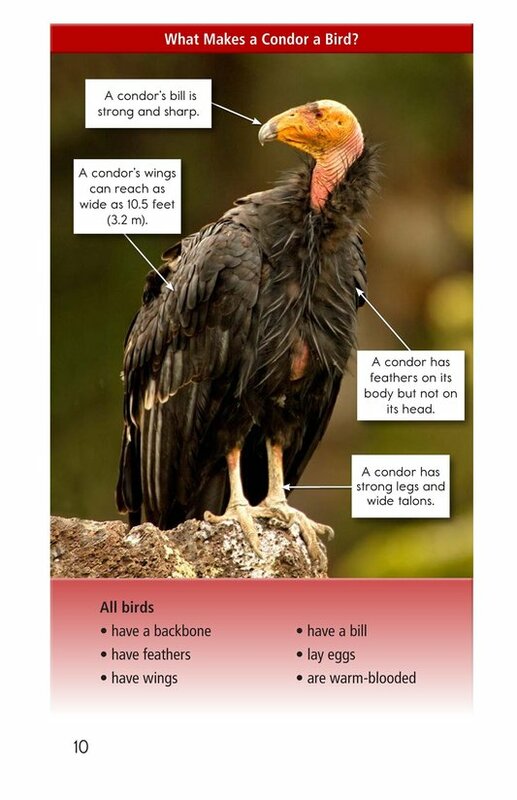 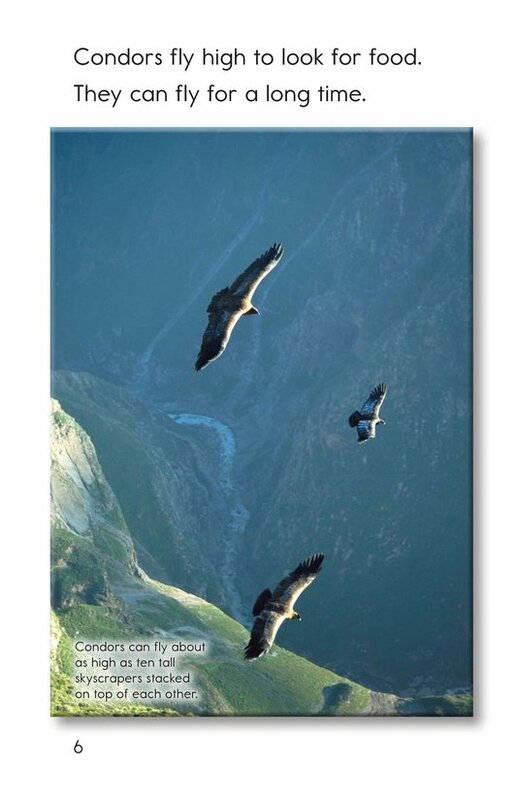 Condors are fascinating animals. 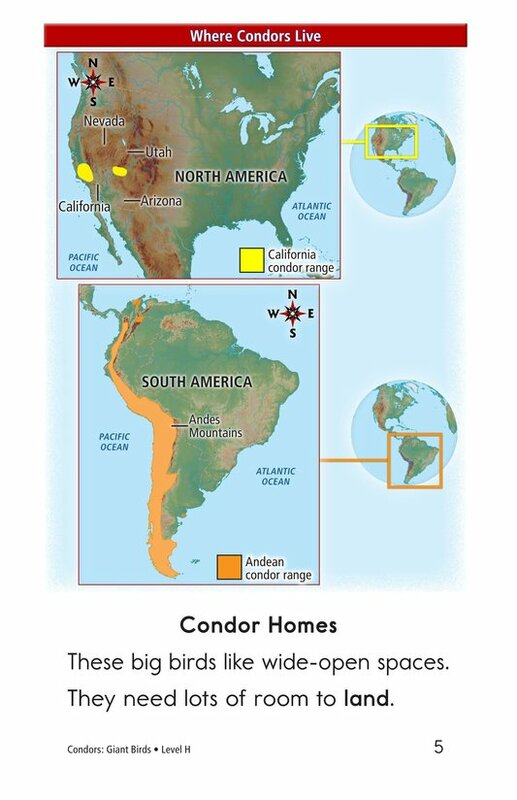 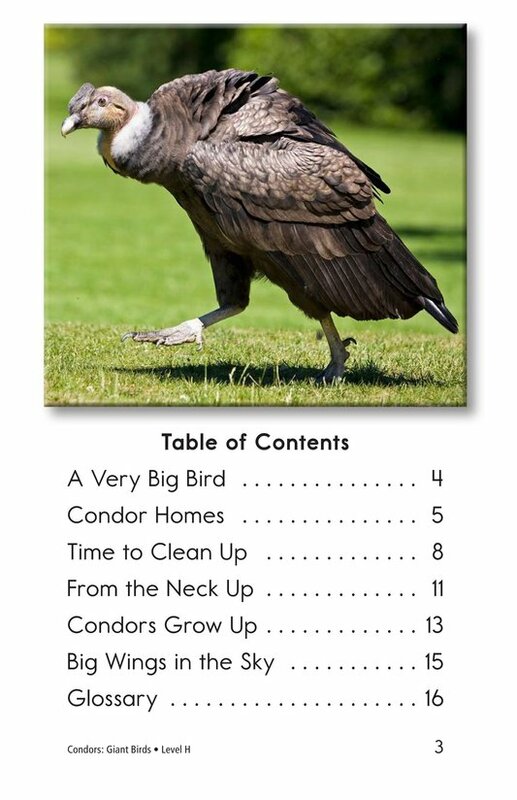 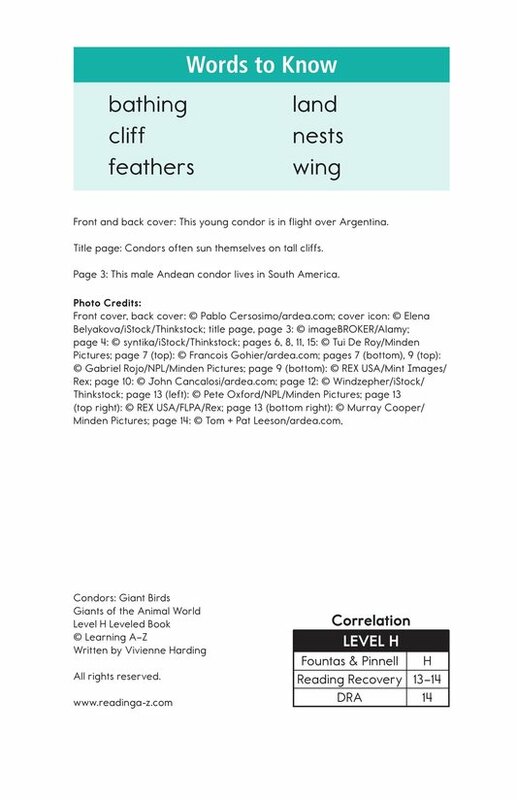 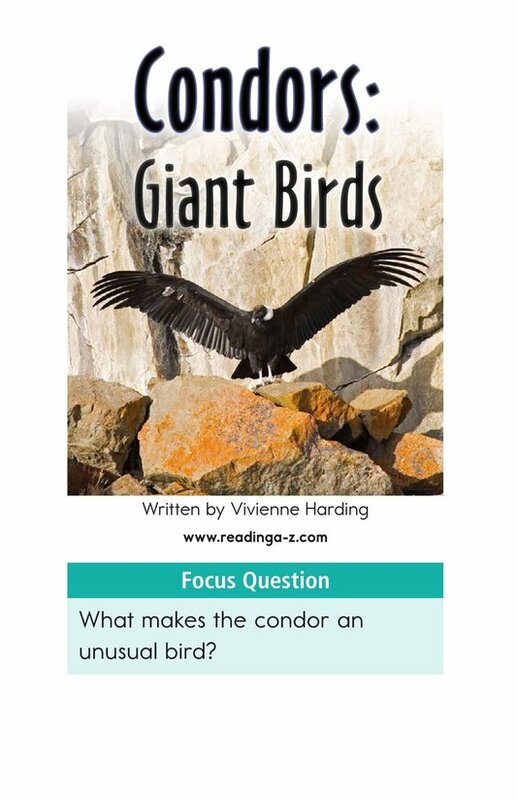 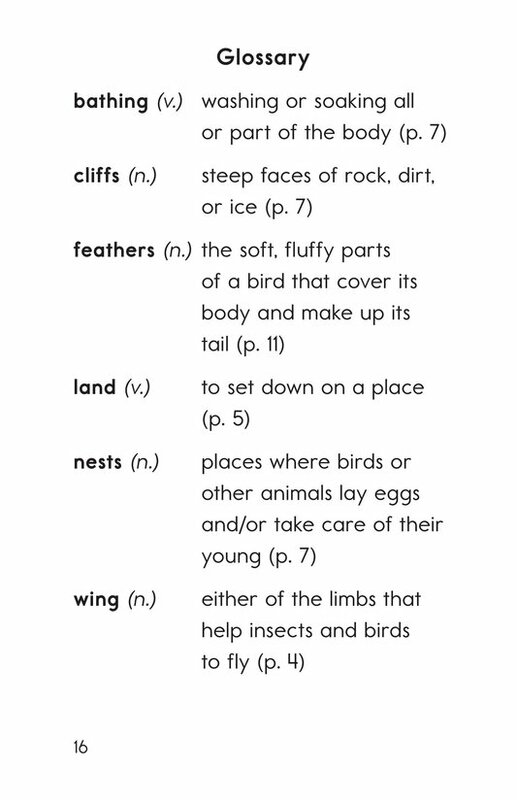 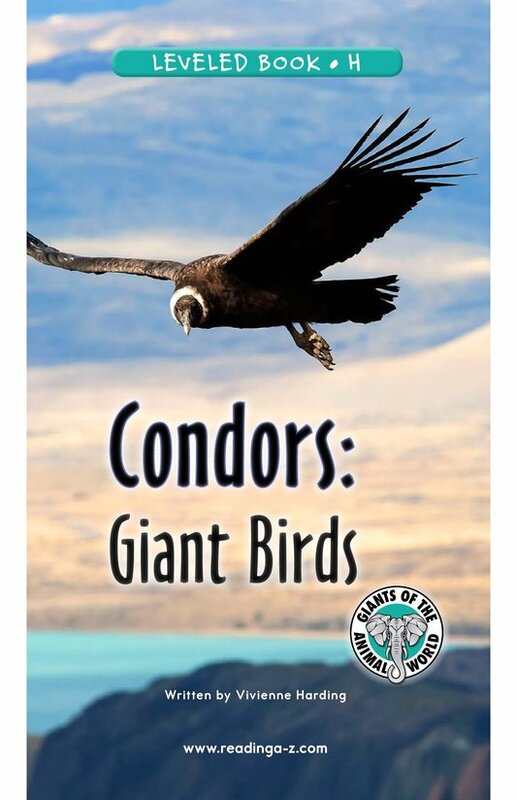 This book explores the habitats, eating habits, appearance, and offspring of these giant birds. 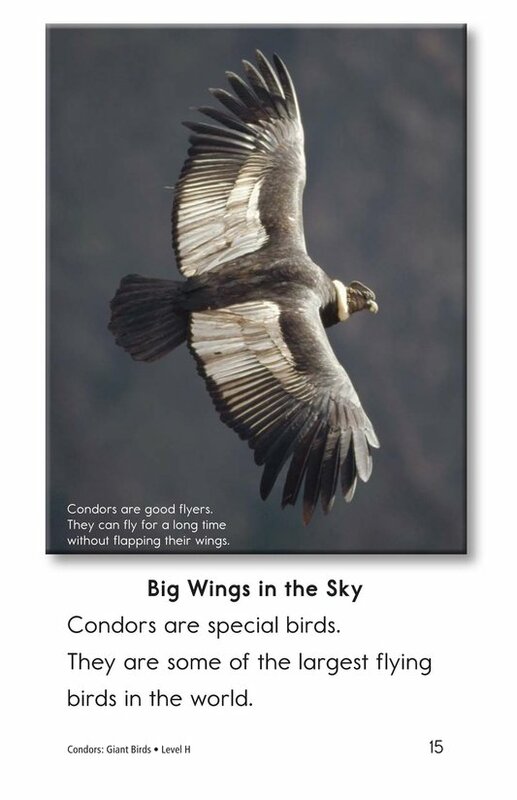 Vibrant images help bring this book to life.